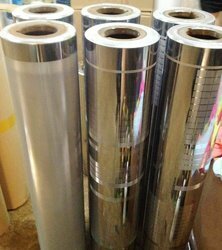 Other kind of Chemically Engraved Cylinder that we deal in are known as chemically engraved cylinders. The range of these cylinders that we offer to our clients have designs etched on them and are coated with a premium quality chemical. Matching up with the requirements of our clients, we are involved in offering Chemically Engraved Cylinder. We are deeply engrossed in manufacturing and supplying a wide assortment of Chemically Engraved Cylinder. We are betrothed in offering an extensive series of Industrial Chemical Cylinder. These products are made as per universal industry principles. Committed to fulfill the requirements of our clients through high-value products, we are engaged in manufacturing and supplying an optimum quality range of Chemically Engraved Cylinder. Capitalizing on the skills of our dedicated team of professionals, we are into presenting a superior quality range of Chemically Engraved Cylinder. This Chemically Engraved Cylinder is manufactured utilizing sophisticated machinery and qualitative materials. Additionally, these products are reasonably priced. With our in-depth knowledge of this domain, we are actively engaged in manufacturing and supplying an extensive range of Chemically Engraved Cylinder. - Used when a large volume of printing is to be done. Swing Boron, chemically, Disodium octaborate tetrahydrate, is a highly concentrated & completely soluble source of boron. It contains 20 % boron. Swing Boron is the easiest way to overcome boron deficiency of crops. Other kind of engraved cylinders that we deal in are known as chemically engraved cylinders. The range of these cylinders that we offer to our clients have designs etched on them and are coated with a premium quality chemical. Designing and planning of complete inchemical cylinders for printing purpose.